This article covers the complete functionality of the interactive Facebook Ads Analytics Tool. Facebook Ads Analytics is the tool within Rival IQ that helps you maximize your effectiveness with Facebook Ads while also simplifying your reporting. Our goal with Facebook Ads Analytics is to provide you with a consistent report that makes analyzing your data a painless experience. You'll see the same view and breakdowns regardless of whether you're analyzing a campaign, ad set, ad, or your entire account. To analyze your data, you'll be asked to map Facebook Ad Accounts into a landscape. Select the Ad Account you want to have active in your landscape and click Done. If you ever want to update your mappings for a landscape, look in the dropdown for Edit Mapped Accounts. You'll also use this dropdown for switching between Ad Accounts within a single landscape. 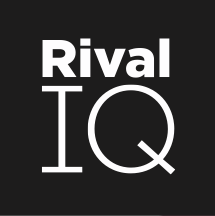 The number of unique ad accounts that you can map in your Rival IQ account is limited. You can map the same ad account in different landscapes, and it will not count twice. The structure of the Facebook Ads Analytics report is consistent regardless of what objects you're analyzing. At a Glance is the first part of every report, and it gives you access to some key metrics for the object you're analyzing during your selected time period. We paired each of these metrics with other related ones to help you tell a more complete story. The sparklines give you an idea of the trend over time. For periods longer than 90 days, we do not display sparklines. We will display cost per result calculations when you are analyzing a single campaign, ad set, or ad. We will not display average cost per result calculations unless you filter your view to a single campaign objective. The first panel in your report is the Campaign panel. Here, you'll find a summary for each campaign in your selected time period. In the upper left, you'll see a breakdown of which campaigns consumed the majority of your spend. In the upper right, you'll see observations about top performing campaigns or ad sets in your account. To interact with this panel, there are two main actions. First, click on any campaign name to drill in and focus your analysis. To get additional metadata and description about the campaign, ad set, or ad, click on any row to get the details. Note that you need to click the row, not the campaign name itself. Each of the additional panels in your report is an analysis of your campaign or ad set performance broken down in a number of ways. You'll find that the layout of these panels is similar to the campaign panel, with a spend breakdown, observations, and the results table. To access the full results table, use the View More button in the lower-right of the panel. You can choose which columns/metrics appear in your report by using the Edit Metrics button in the upper-righthand side of the page. The filters in the upper-left of the page enable you to refine your analysis to a limited set of data. You can select delivery status, campaign objective, boosted posts, and campaign labels. To learn more about how to apply campaign labels, read Facebook's article on ad labels. Your Facebook Ads Analytics reports, like the rest of Rival IQ, maintain all of your filters and sorts for export, including scheduled exports. That means you can set up useful scheduled exports, for example: account summary for all currently running campaigns in the last 14 days. Is this data live and real-time? Yes. We connect live to the Facebook Marketing API to display your ad account information. How do I configure the alerts for my Facebook Ad Account? You configure your Facebook Ad alerts just like other email alerts in Rival IQ. Visit your landscape email settings to configure which alerts you'd like to receive.